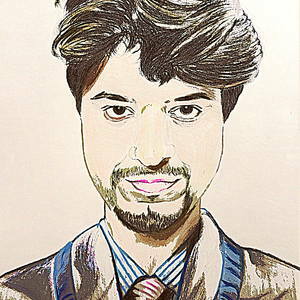 Mr. Saurabh kumar Mayur (born january 4,1989) is an Indian Contemporary painter. He is the artist who uses the Mix media (colour pencils , water color , pastel color , oil color , acrylic color ) and use paper or canvas for his awe-inspiring drawing. he completed his graduation from commerce college jaipur . own hands. He noticed that with a simple tool such as a lead pencils . Later he engaged in Mix Media form of art. After completed his graduation from commerce college jaipur . from Delhi Collage of Art .